“By building these ships we enter a market niche that will enable sustainable business operation, bigger engagement of capacities and acquisition of references for building of ships that will be in higher demand in near future,” says Tomislav Debeljak, CEO of Brodosplit and owner of Brodosplit Shipping Company. “DNV GL experts were involved from the design phase and worked very closely with Brodosplit to realize this project. We are very pleased with the cooperation and look forward to continuing our work together in the future,” says Ivo Siljic, Senior Lead Surveyor at DNV GL – Maritime. With an individual deadweight of 24,000 dwt, the vessels will be over 184 meters long and 27.5 meters wide. They will have a capacity of 2,000 TEU, are powered by LNG and reach speeds of up to 18 knots. The container ships feature two-stroke dual fuel (LNG/MGO) engines that have higher efficiency and work at lower rpm, resulting in less maintenance costs and longer lifespan. The engines will be made by Brodosplit’s diesel engine factory, under the license of MAN, as well as the special tanks for liquefied natural gas. DNV GL expects to see LNG playing a significant role as an alternative fuel in the maritime industry. Liquefied natural gas offers the shipping industry a flexible, safe, future-proof solution and the opportunity to almost eliminate SOx emissions and particulate matter, cut NOx by 80 percent and reduce CO2. 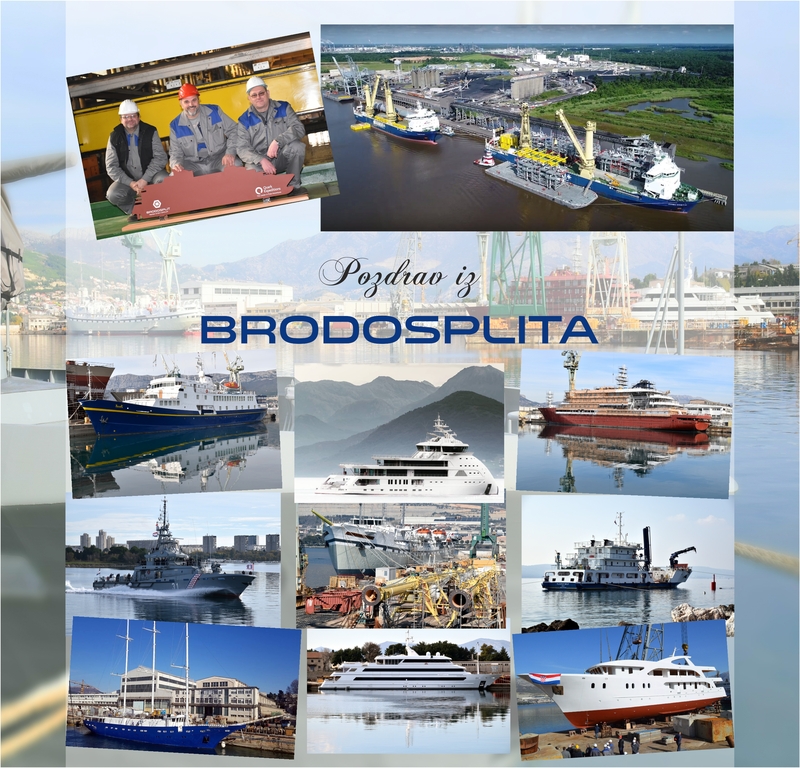 Covering an area of more than one million square meters, Brodosplit shipbuilding company, located in Split, is the largest shipyard in Croatia and the region. It has experience in building a wide range of ships for the international market, covering all tasks from the design to the delivery of a vessel. The company has been privatized in 2013.